My laboratory studies GABA antagonism in the context of three important clinical scenarios: neuroprotection, restoration of normal inhibitory circuitry altered in the perioperative period, and rapid reversal of anesthesia. 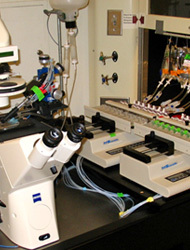 Other areas of research being actively investigated in the lab are the functional links between anesthesia and natural sleep and the effects of the coagulation system on neuronal signaling. 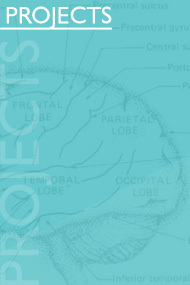 We employ a variety of laboratory techniques to answer our research questions including behavioral animal models, patch-clamp electrophysiology, molecular and immunologic imaging, and mathematical modeling. Prolonged exposure to substances that slow neuronal transmission (e.g., anesthesia, alcohol, and other sedatives) may have long-term consequences on cognition especially in the fragile brains of the very young and the very old. Our lab is focused on to what extent the inhibitory networks mediated by GABA transmission might be involved in the cell-death or aberrant signaling which underlies perioperative cognitive deficits. We investigate the preclinical neuroprotective potential of novel substances that antagonize different GABA(Type A) receptors with pharmacologic and imaging techniques. The anesthetized state shares many common features with natural sleep. Sleep is present in every animal species where it has been studied; even partial deprivation of sleep has serious consequences on cognition, mood, and health. Why is sleep restorative and necessary for memory consolidation, while anesthesia interferes with memory function? Sleep disturbances (like fatigue and insomnia) are not only commonly reported side effects of outpatient medications but also add unnecessary cost and complications to hospitalized patients, annually. By using animal behavioral models, and electrophysiological techniques we study the arousal potential of novel and commonly prescribed therapeutics. 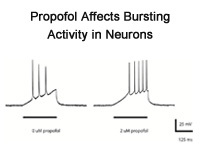 Because excitotoxicity is always a concern in the manipulation of activating pathways in the central nervous system our electrophysiological studies are designed to preliminarily investigate the risk of seizures in our preparations. 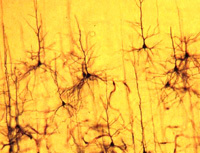 GABA (γ-aminobutyric acid) mediated synaptic transmission is critical in controlling the electrical activity of neuronal networks in the brain. 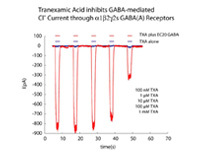 The subcellular localization and intrinsic biophysical properties of the heteropentameric GABA type A (GABAA) receptors generate specific inhibitory signaling important for normal circuit function in the hippocampus and other brain regions. Activity-dependent synaptic modulation of inhibitory signals, or GABA Long Term Potentiation (GABALTP), has distinct mechanisms from the excitatory, glutamatergic, LTP traditionally associated with the memory function of the hippocampus. 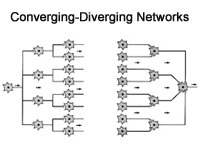 We use mathematical modeling combined with single and dual neuron patch-clamp electrophysiological recordings to elucidate the computational repertoire of these dynamic inhibitory networks in the hippocampus and to determine the behavioral correlates of the pharmacologic regulation of this cellular communication. Scientists have begun to unravel specific sequences of regional activation and inactivation in the brain that characterize “waking up” from natural sleep. Unfortunately, much less is known about recovery from anesthesia. Despite the widespread availability and use of EEG-based monitors designed to measure depth of anesthesia, the opportunity to collect and analyze this source of focused data on brain state transitions has gone largely unrecognized. Dr. Garcia is the lead Principal Investigator of the ACCESS Group, which aims to collect and mine the de-identified perioperative information from patients undergoing surgical anesthesia. 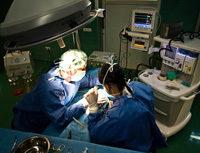 Through this international, collaborative, multi-site effort we can capitalize on routine anesthesia as a tool for probing the overlap between sleep and anesthesia in an effort to enhance human cognition.